The Sorrento collection offers a wide range of style in a rich fashion forward color palette. 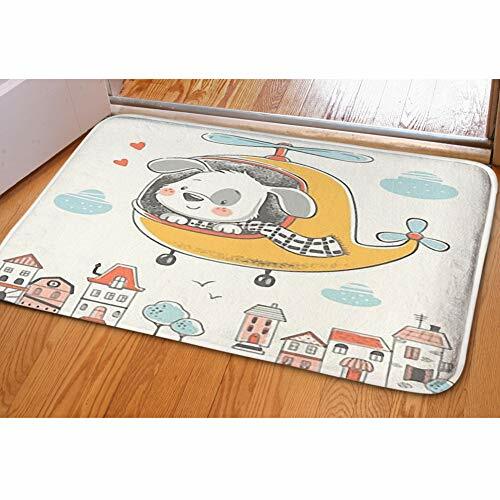 Each rug is machine-made of 100% heat-set polypropylene to insure durability and easy cleaning. The placement of every color has been carefully chosen by a skilled artist to create soft shading often found only in much more expensive rugs. This collection offers fashion at an incredible value. Noble Medallion Red is a classic formal pattern updated with modern touches for the contemporary home. 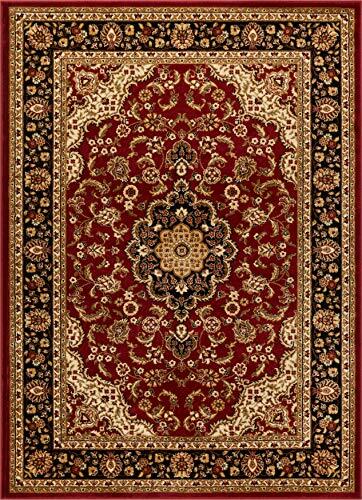 A complex oriental medallion design is bordered by an intricate floral border, all woven in bright jewel tones and warm neutral colors. 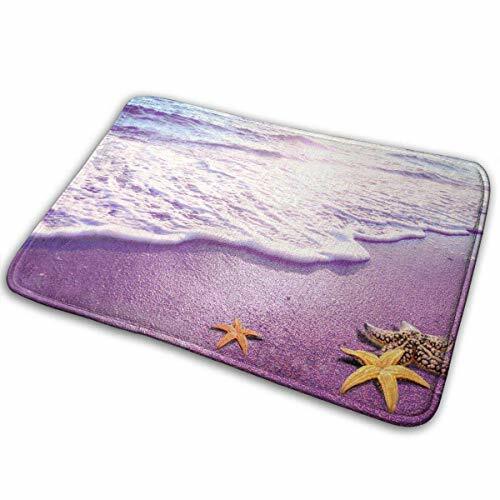 The heat set polypropylene pile is a plush 0.4" that is soft, stain resistant, and doesn't shed or fade over time. The 100% jute backing is safe for wood floors and all four sides of the rug are serged for improved durability. 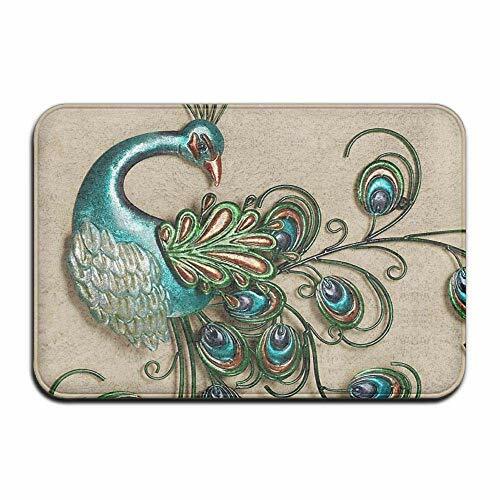 Perfect for the living room, dining room, great room, entryway, or hallway. 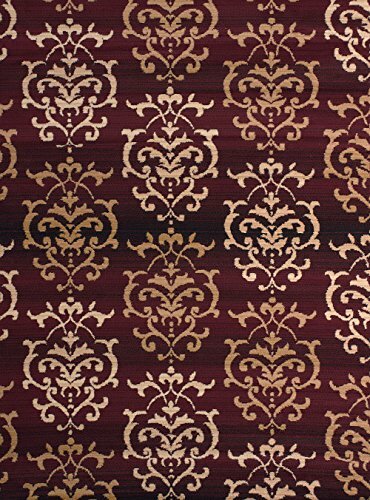 Noble Sarouk Red is a classic formal pattern updated with modern touches for the contemporary home. A complex floral sarouk design is bordered by an intricate floral border, all woven in bright jewel tones and warm neutral colors. 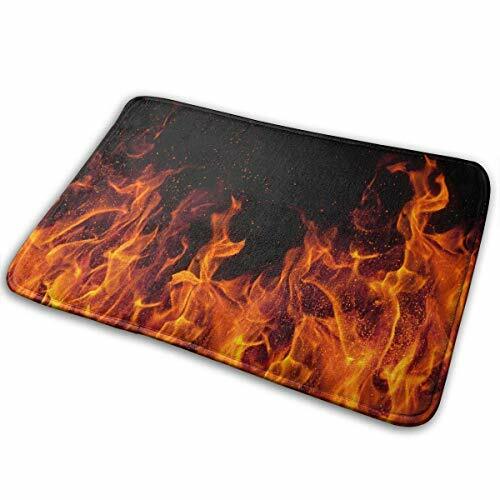 The heat set polypropylene pile is a plush 0.4" that is soft, stain resistant, and doesn't shed or fade over time. The 100% jute backing is safe for wood floors and all four sides of the rug are serged for improved durability. 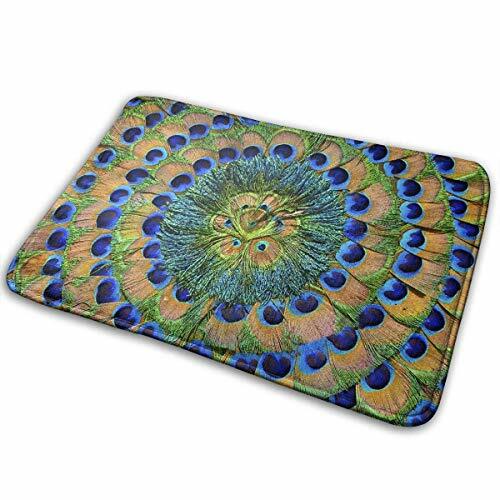 Perfect for the living room, dining room, great room, entryway, or hallway. 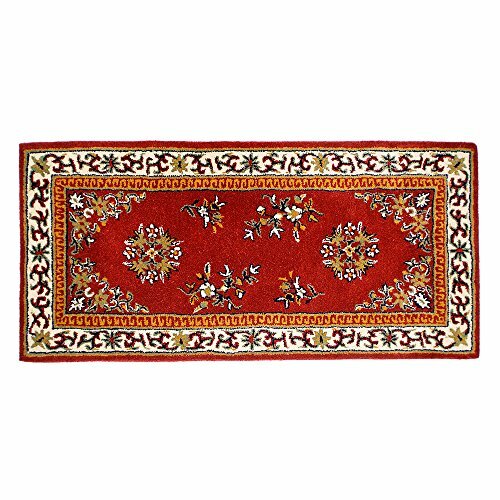 Pastoral Medallion Red is a traditional rug for the modern home. 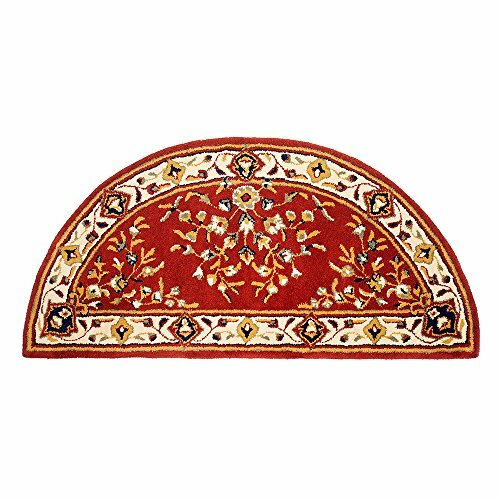 With a classic yet trendy French European floral medallion design and a multi color palette of warm, jewel tone colors, dominated by deep red. A plush 0.5" pile of heat polypropylene lends an exceptionally soft hand. This yarn is stain resistant, and doesn't shed or fade over time. The 100% jute backing is safe for wood floors and all four sides of the rug are serged for improved durability. Perfectly suited for the luxurious yet active lifestyle and built to last for years. 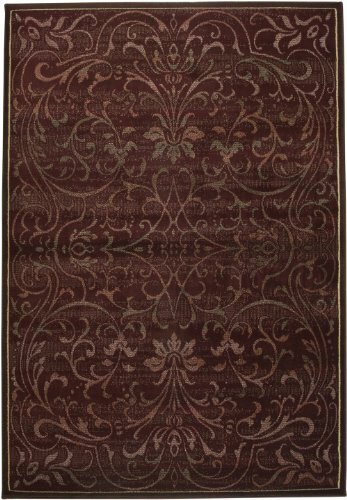 This area rug features a 100% Wool and Contemporary Transitional pattern. 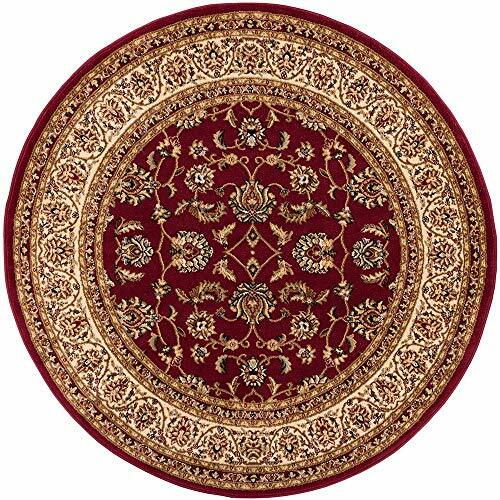 Main color in this area rug is Burgundy. Made using a Handloomed technique this rug will last for years to come. 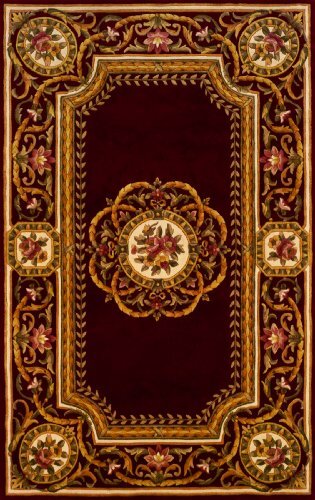 Dallas Countess Rug by United Weavers of America can give the room a more tailored, thoughtfully-designed look. 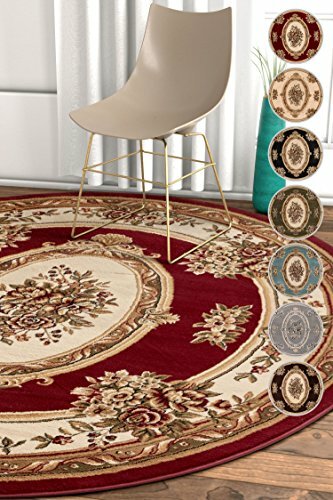 Low-profile design with an abstract pattern, transitional style and adaptable hues make this floor rug look visually distinctive. Machine-made construction with a solid jute backing, offers maximum durability to the modern area rug. 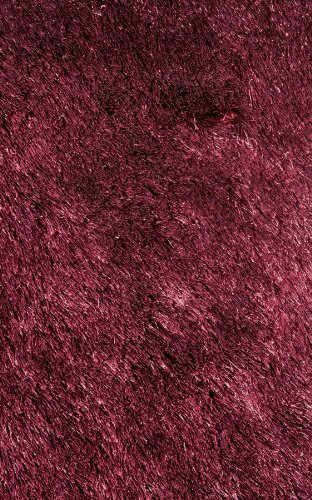 The bound edges of this jute backing rug prevents the chances of wear and tear. 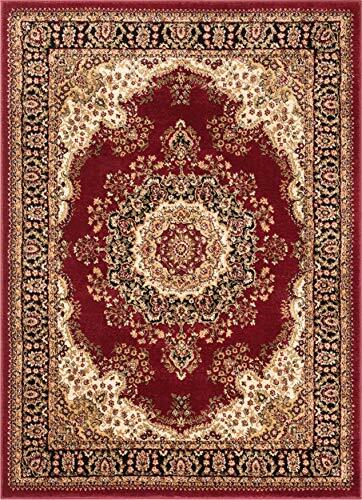 This polypropylene rug is expected to have more stain resistance, ensuring long lasting color. The contemporary rug is easy to clean and maintain. 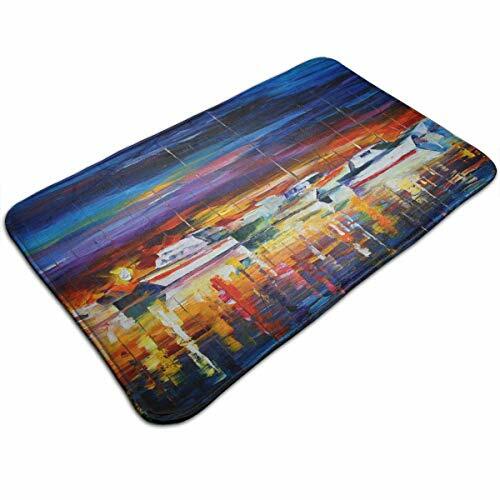 Hand-Painted Oil Painting Door Mat Entrance Mat Floor Mat Rug Indoor/Outdoor/Front Door/Bathroom Mats Rubber,Non Slip 19.3x31.5 Inches. 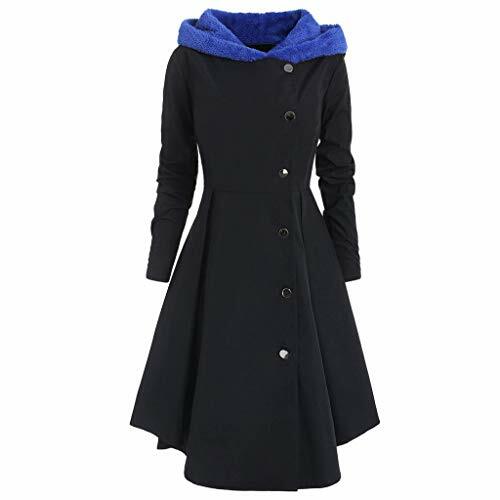 Product information: Season:Autumn,Spring Gender:Women Occasion:Casual,Party,Daily Material:CottonPattern Type:Solid Thickness:StandardDress length:Long Waistline:Natural Decoration:NonePackage include:1*Women CoatSize:XL US:8-12UK:12-16EU:38-42Bust:108cm/42.5Waist:96cm/37.8"Sleeve:59cm/23.2"Length:89cm/35.0"Size:XXLUS:10-14UK:14-18EU:40-44Bust:114cm/44.9"Waist:100cm/39.4"Sleeve:60cm/23.6"Length:90cm/35.4"Size:XXXLUS:12-16UK:16-20EU:42-46Bust:120cm/47.2"Waist:104cm/40.9"Sleeve:61cm/24.0"Length:91cm/35.8"Size:XXXXLUS:14-18UK:18-22EU:44-48Bust:126cm/49.6"Waist:108cm/42.5"Sleeve:62cm/24.4"Length:92cm/36.2"
A classic Persian medallion pattern woven in modern, contemporary colors of red, ivory, beige, and black. The soft 0.4" pile is stain resistant, easy to clean, and doesn't shed or fade over time. 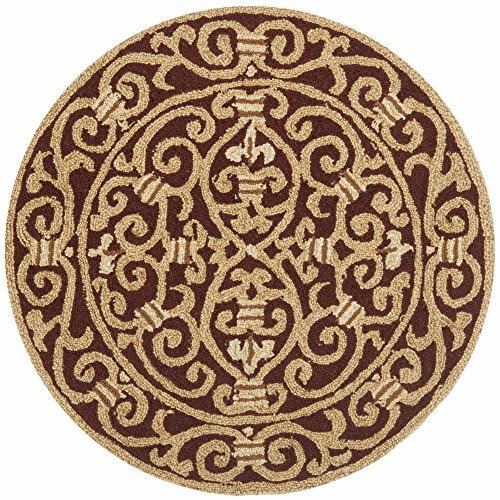 A jute backing is safe for wood floors and all four sides of the rug are serged for improved durability.